It's the National Marie Curie 'Tea Party' event this weekend. I have friends who volunteer at a local MC hospice most weeks, running a craft/art group in daycare. They are keen fundraisers too and are going to have a craft stall at Marston Green fete on 1st July in aid of Marie Curie's tea party event. The craft stall will sell things they have made- they are all very talented artists and so it is well worth a look and it all goes to a good cause. I offered to make a few cards and some brooches for the stall too. I believe today is Hazel's 80th birthday. A new friend who I met through Bentley Heath Country Market and with whom I go to a craft group most Wednesdays. Made using a DigiStamp Boutique Truffle image. 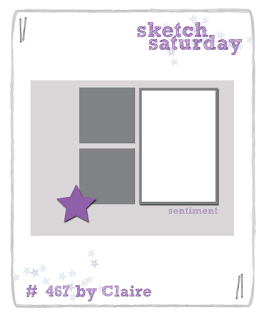 This weeks Sketch Saturday challenge is sponsored by the fab Just Me Digital Stamps- I love their cute and fun designs. I used the 'scent skunk valentines' image on my card. Hope you are inspired to join in this week. Another cutie from DigiStamp Boutique. I used a fairly old image from a DigiStamp Boutique set to make this card- an image and character that will never date though- in my view. Owls are even more popular these days than they were 5 years ago. I love monsters on cards- so fun to make. I played around with some Papermania die cut papers to make this card using a DigiStamp Boutique image. This Just ME digital stamps image made me smile. How many people do you know that you keep thinking you really should drop a line to and get in touch with? I'm sure we all have lots. 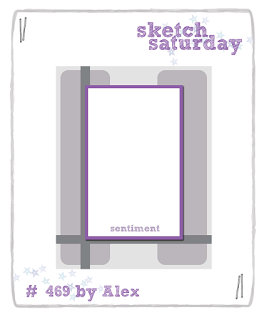 This weeks Sketch Saturday challenge is sponsored by Fred She Said Designs. One lucky winner will receive a $10 gift certificate to spend in their store. I used 'Emma and the Cake' on my card. I used this DigiStamp Boutique 'new year dog' image to make a 'congratulations' card which I thought would be good for exam results season in August. A fun image from the DigiStamp Boutique Maddie set- perfect for female birthdays and 'just because' cards. Perhaps a bit late for the 'good luck in your exams' season but I thought I'd make a card using images from this DigiStamp Boutique farmyard set. Not sure how much 'luck' a turkey brings when they are generally destined for dinner on 25th Dec- lol! I was asked to make a birthday card for someone's husband who was turning 60 and is a photography enthusiast. Luckily DigiStamp Boutique released a camera set of images last month which saved my bacon. I printed the camera onto different background papers and pieced them together. Then I cut out the 'lens' to make a shaker card, using the new brush strokes sentiments as a background. I'm hoping this is well received.